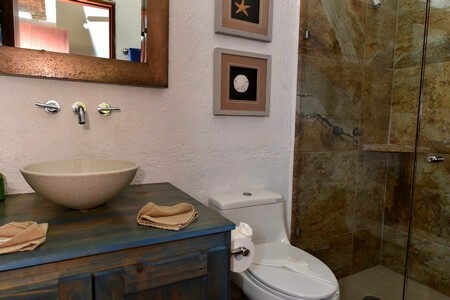 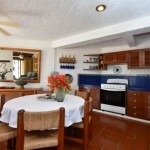 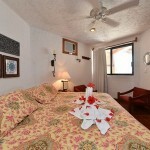 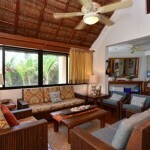 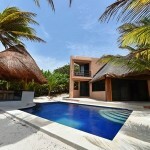 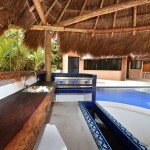 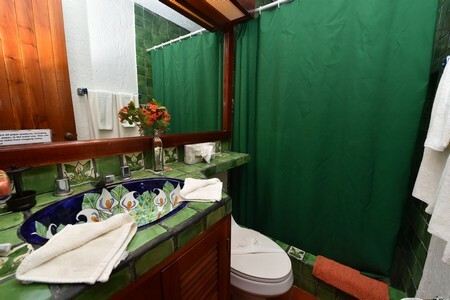 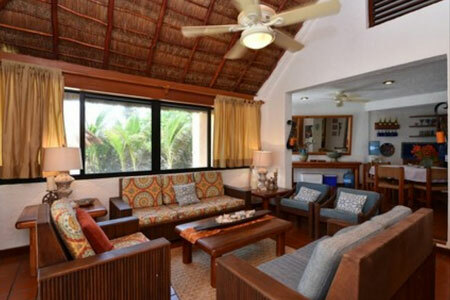 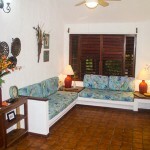 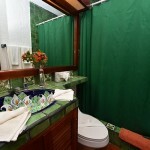 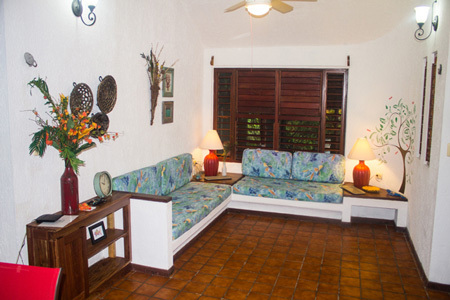 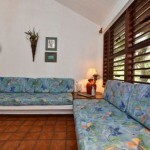 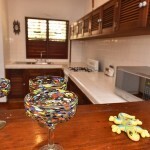 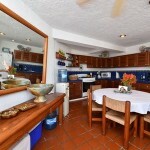 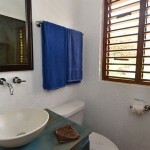 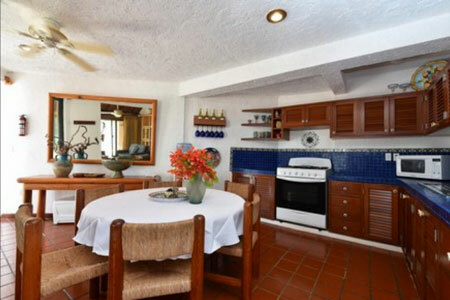 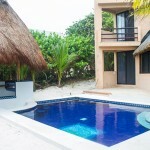 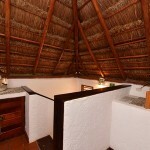 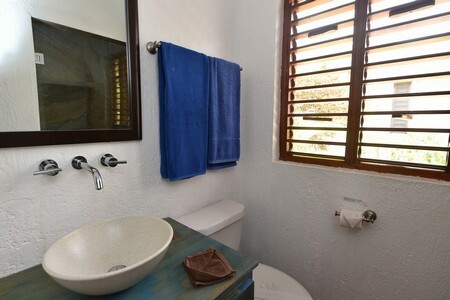 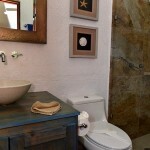 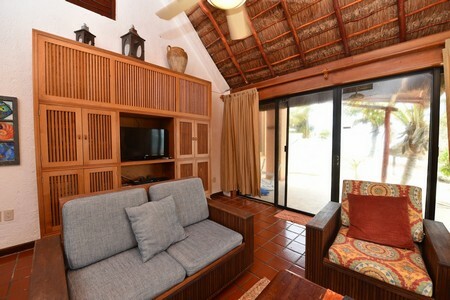 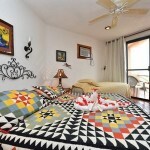 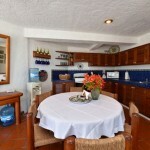 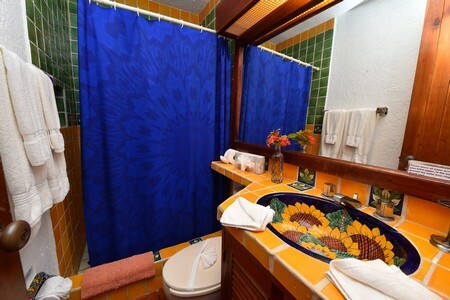 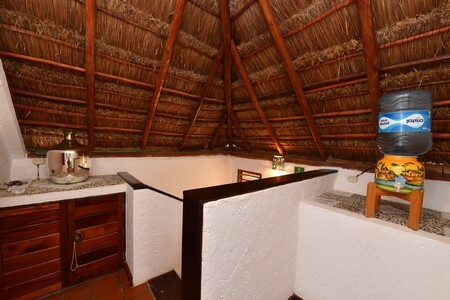 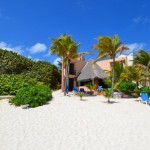 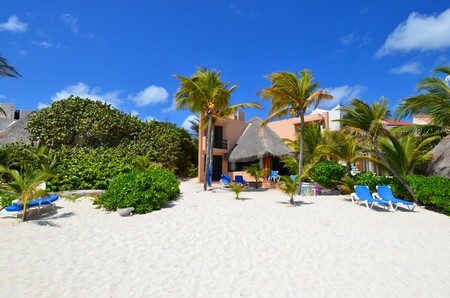 Casa Gray is not too big and not too small, it is however, just right for a great family vacation. 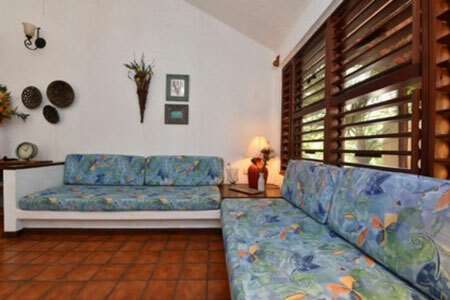 This is an excellent house for those who want Caribbean sunbathing and snorkeling at their front door. 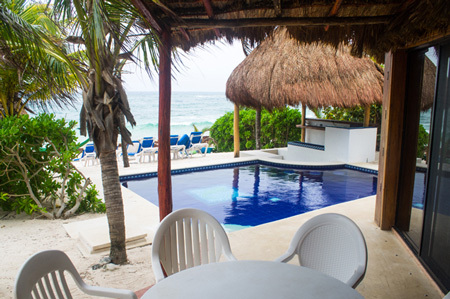 Casa Gray is right in the middle of the expansive beach of Aventuras Akumal, with a dive shop and beach bar right in the neighborhood. 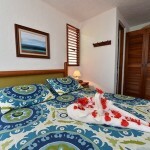 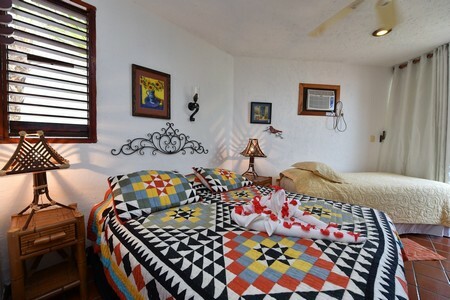 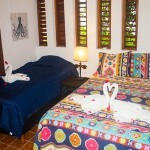 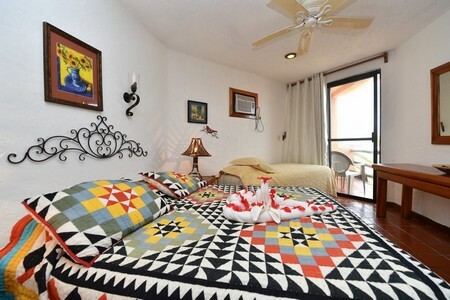 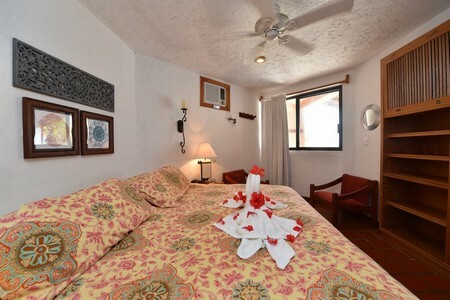 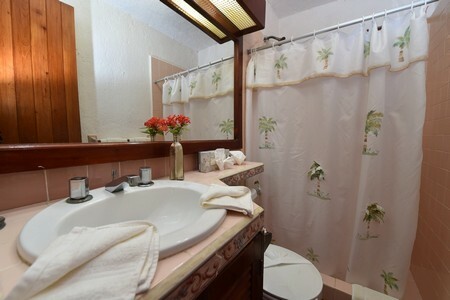 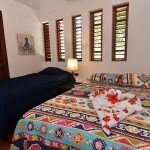 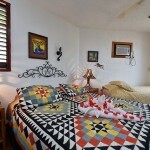 The main house has three comfortable air-conditioned bedrooms, two are on the second floor and one is on the first floor. 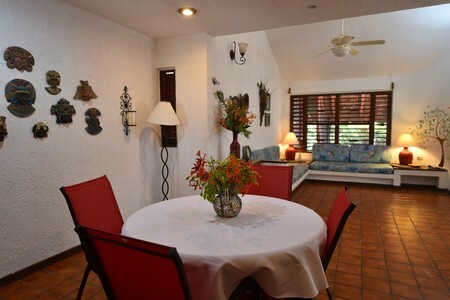 All face the beach and have either a private patio or terrace overlooking the gorgeous coral sand beach and Caribbean Sea. 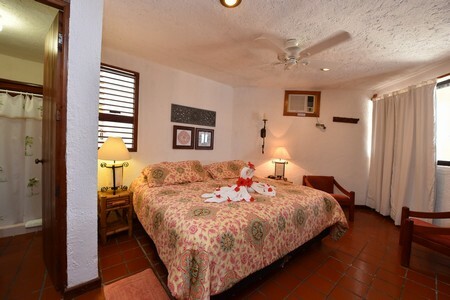 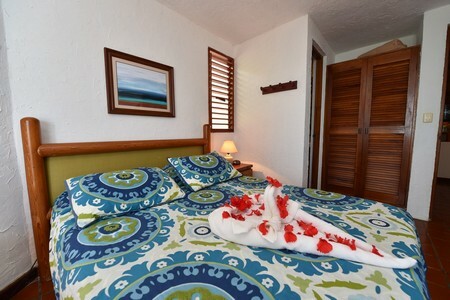 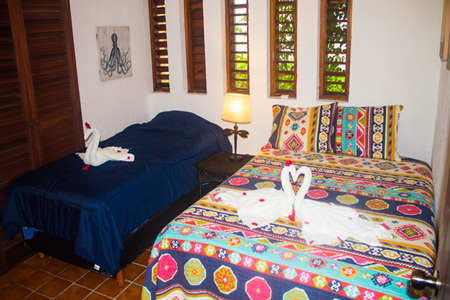 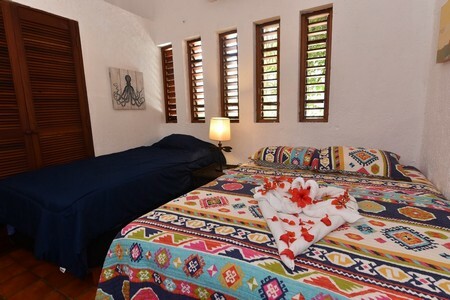 The guesthouse, added in 2015, has a master bedroom with a king size bed and 1 guest bedroom with 2 single beds that can be converted into a king bed. 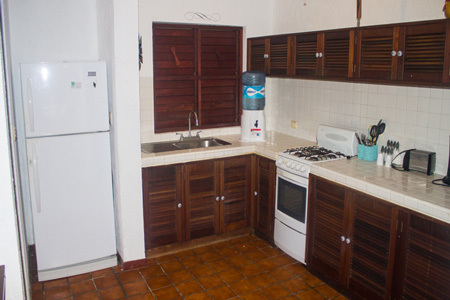 In the main house the kitchen is equipped with most major appliances plus essentials like a toaster, coffee maker, blender and microwave. 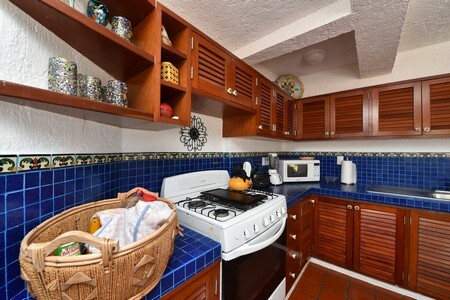 Everything you would need to prepare a meal, and as an added bonus, Ana will wash the dishes in the morning. 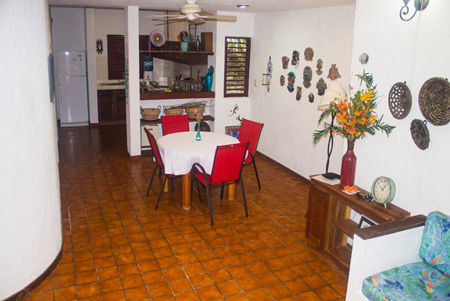 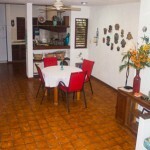 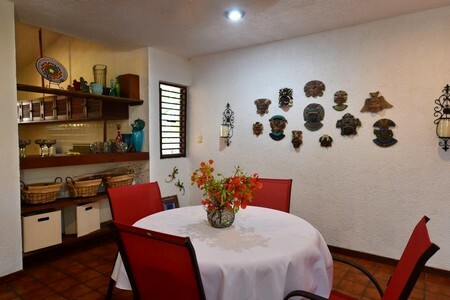 Home made dinners can be prepared at the villa for you upon request ($). 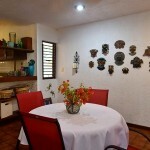 If you prefer dining out, there are also many wonderful restaurants within 15 minutes by car. 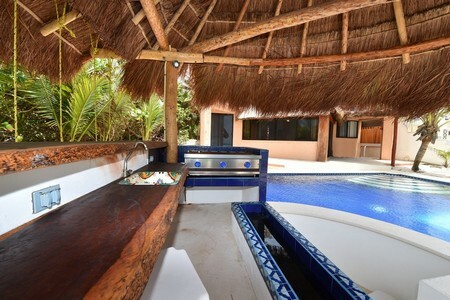 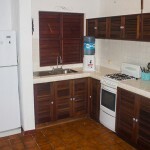 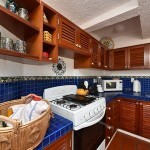 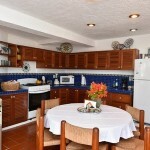 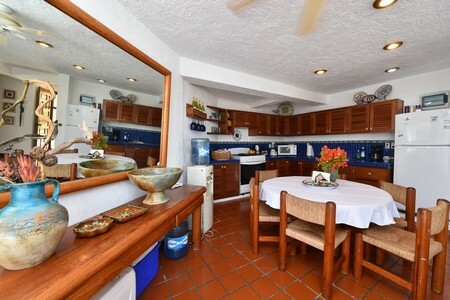 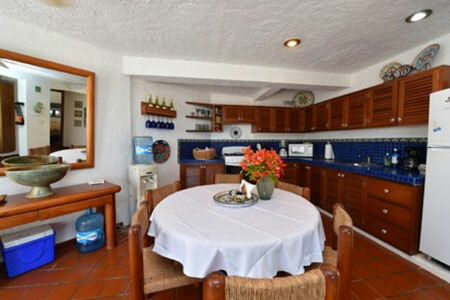 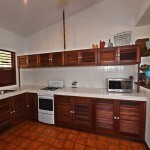 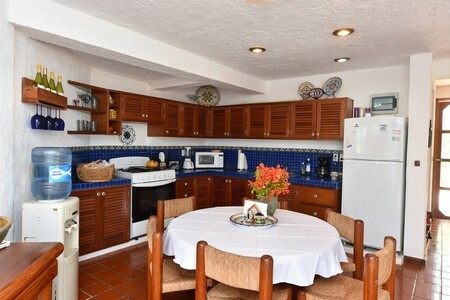 There is also an outdoor kitchen with a grill and sink for cookouts on the beach-side patio. 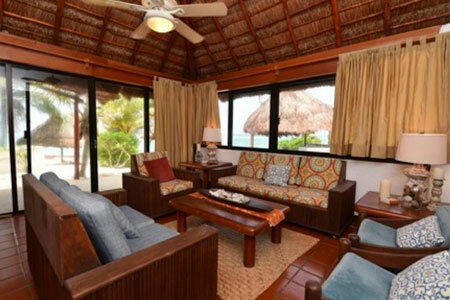 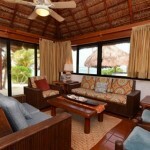 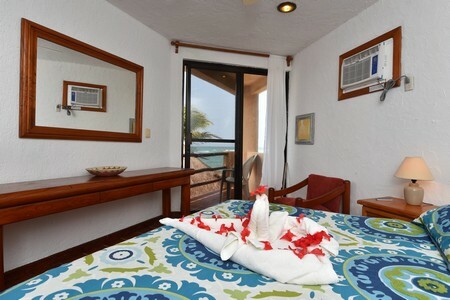 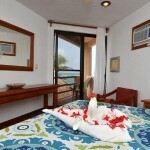 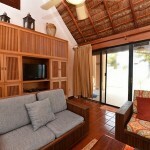 Next to the patio is a private tanning area with lounges on the sand and a couple of hammocks facing the Caribbean. 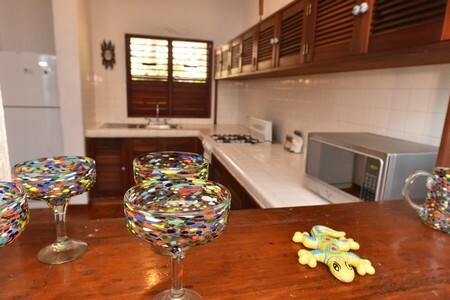 Or, you could just spend your day lounging in and around the swimming pool, the swim up bar with built in ‘bar stools’ makes everyday an enjoyable day! 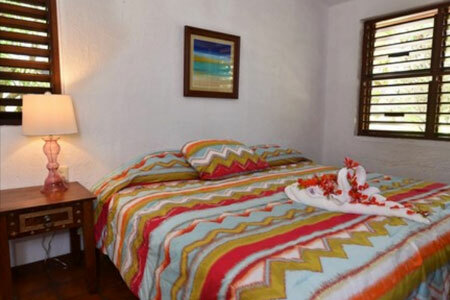 For families with babies, up to 2 cribs can be provided, and baby-sitting services are available ($). 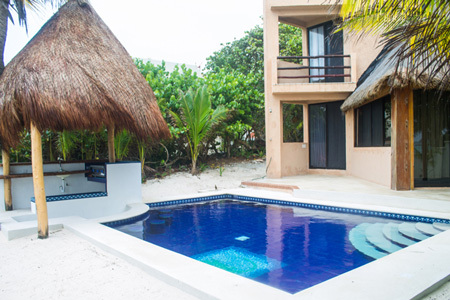 Pedro, the groundskeeper, will also set up a kid’s inflatable pool for the toddlers if your request, and he will keep the windows sparkling clean and the beach out front well groomed. 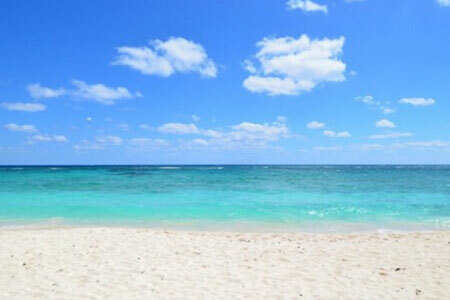 Nature lovers, if you come down between April and November you can witness the nesting habits and hatching of loggerhead and green sea turtles right on our beaches. 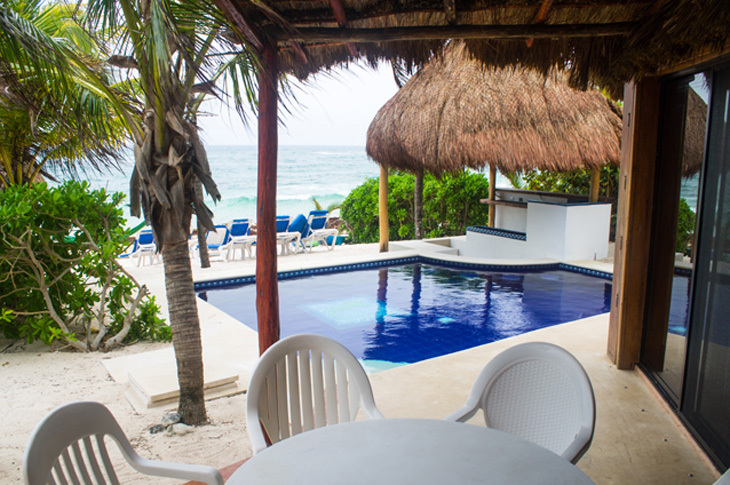 These majestic turtles can get up to 450 lbs. 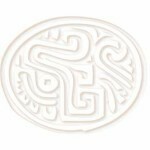 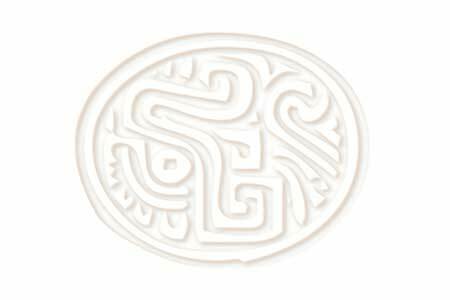 There are numerous major and minor Mayan ruins within 3 hours of Casa Gray including: Coba, Ek Balam, Uxmal, Chichen Itza, to name a few. 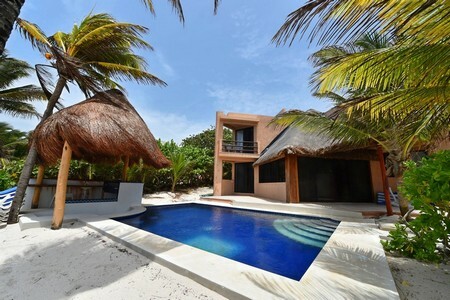 A bit closer, 25 minutes driving south, is the Pueblo of Tulum, the Tulum ruins and Tulum beach. 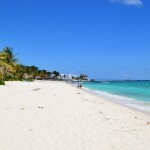 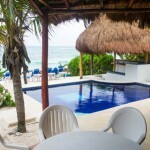 Just north is central Akumal and plenty of restaurants, gift stores, grocery stores and another great beach. 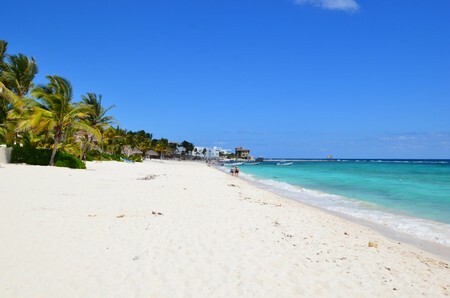 And about 50 minutes drive to the north; enjoy a day of shopping and dining in the town of Playa del Carmen. 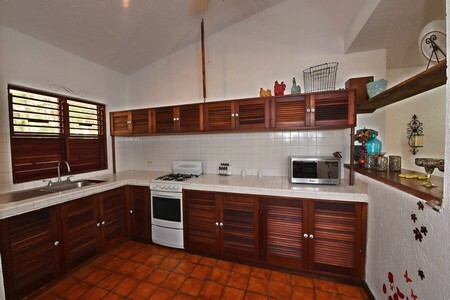 Add $500. 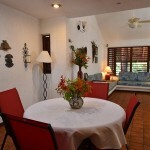 USD per extra person ($250 USD for children under age 9) over base 6 persons *. 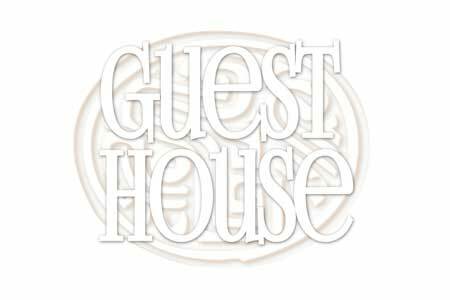 Guesthouse apartment opens up for groups larger than 7. 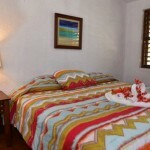 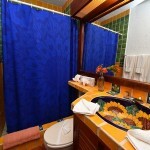 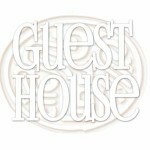 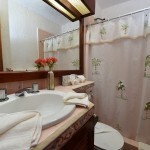 For groups of 6 or less, the guesthouse is available on request, $250/week per bedroom.